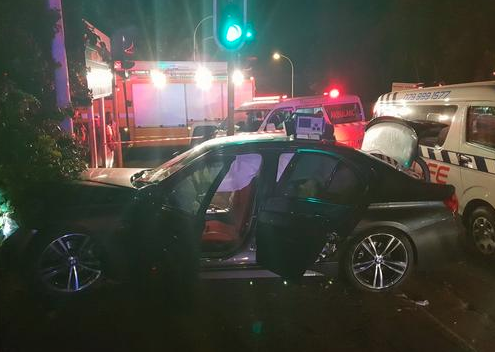 Two people were killed and another was injured when a car veered out of control and crashed into a road sign before smashing into a wall along Sydenham Hill Road, Durban in the early hours of Saturday morning. Rescue Care paramedics arrived on the scene just after 1am to find the car against the wall, Rescue Care spokesman Garrith Jamieson said. One person sustained minor injuries and was stabilised on the scene before being transported to a nearby hospital for further care. At this stage the events leading up to the crash were unknown, but police were on the scene to investigate, Jamieson said.